In Bangkok and many other Asian cities it is not uncommon to see everyday people practicing Tai Chi in the park before work in the morning. The perfect way to prepare yourself for the day ahead, is to take in some fresh air and de-stress through gentle exercise. 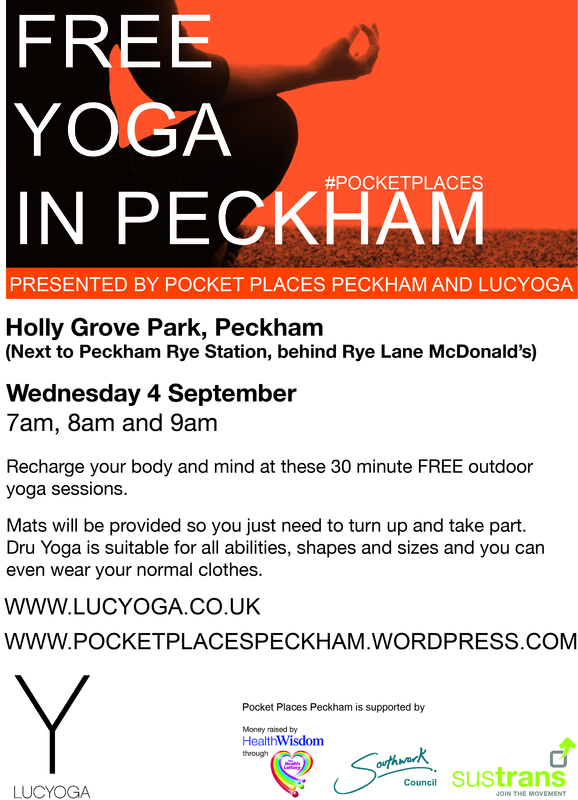 Lucy Bannister has been teaching Yoga in Peckham over the summer and she got in touch with Pocket Places to see if we could do something a bit different together. 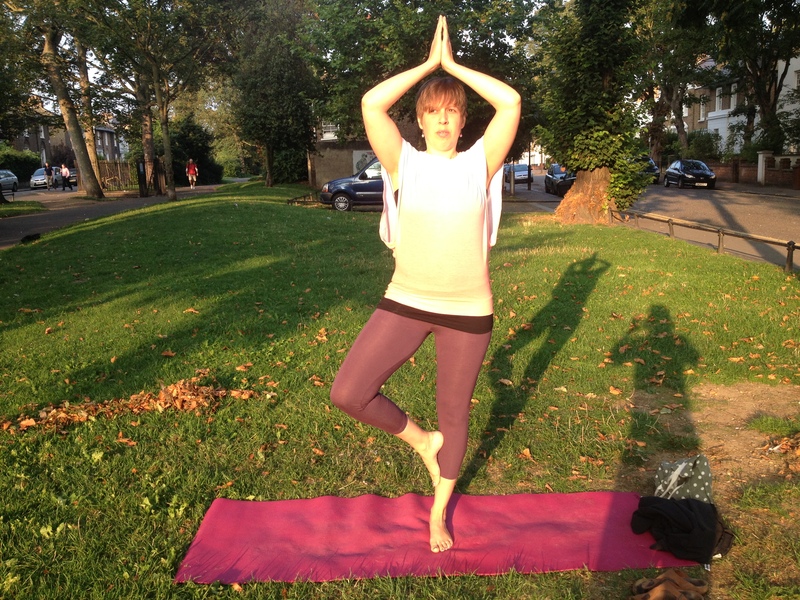 As a one off event Lucy taught her gentle Dru Yoga in Holly Grove Park first thing on a beautiful sunny Wednesday September morning.